In 1868, two brothers came to Texas to start a new life and find adventure. J.E. and F.N. Stiles bought land in Williamson County, near the present day city of Thrall, Texas, just east of Taylor on Hwy 79. Of course, there were no highways at the time, not even a railroad station. The brothers started cattle ranching on the quiet prairie-land where they established not just a community, but also a legacy. 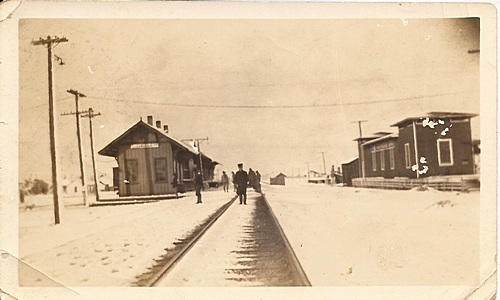 Thrall Depot – February 25, 1924. In 1876, the International—Great Northern Railroad (I-GN) laid tracks from Hearne to Austin cutting through Rockdale and the ranchland of the Stiles brothers. The I-GN railroad station was named Stiles Switch, named for the pioneers who came to settle a wild land. When the post office came, the community around the station had become known as Stiles Switch, and it was forced to change its name, as there was already a Stiles community in Brown County (the post office didn’t allow two towns to have similar sounding names). The town changed names from Stiles Switch to Thrall, named for Homer Spellman Thrall, a Methodist minister who was greatly admired by the Stiles family. Stiles Switch stands at the corner of N. Lamar Blvd and Brentwood in Austin, Texas. F.N. Stiles’s great-great-grandson, Shane Stiles was born in Taylor in the late 1970’s. Shane spent his formative years in Taylor, later graduated from Texas A&M University (Class of ’00) and moved to Austin. In 2010, Shane was growing weary of the corporate life, and was looking to make a change. Growing up in Taylor, Shane was keenly aware of what good barbecue was (see, Louie Mueller BBQ), and knew Austin was a prime market after the success of Franklin BBQ, among others. Shane was tipped off by his father that Lance Kirkpatrick, longtime pit master at Louie Mueller BBQ, was looking for something new after his boss and mentor, Bobby Mueller, passed away unexpectedly. 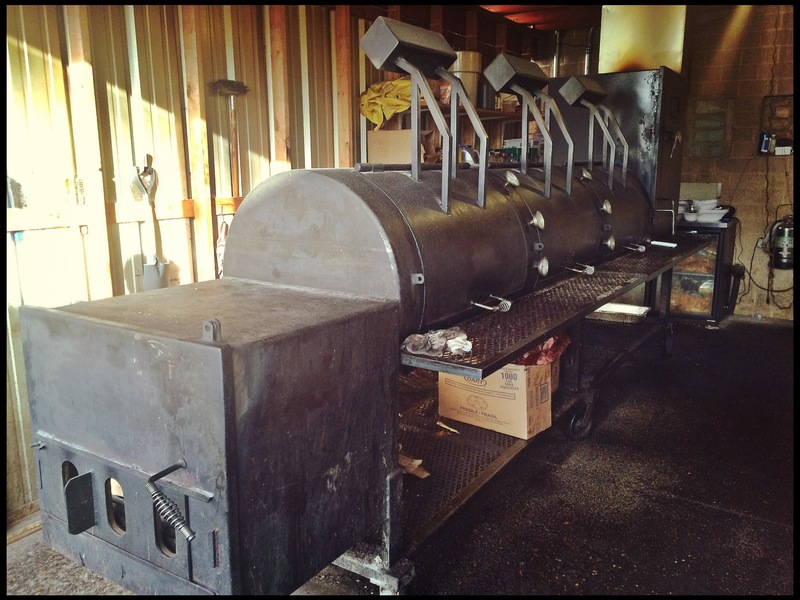 One of two custom Klose BBQ pits at Stiles Switch BBQ & Brew. The two men met up to discuss their futures one morning at Franklin BBQ in Austin, Texas. By the time they made it through the line, they had a plan and a focus. 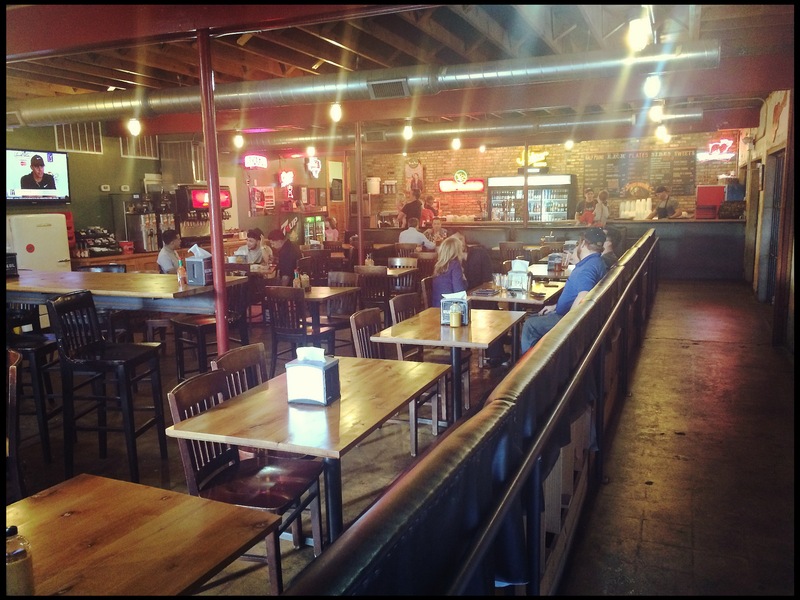 In December of 2011, they opened up Stiles Switch BBQ & Brew in Austin, Texas, combining the highest quality barbecue with a fun, live-music-oriented, destination atmosphere. Stiles Switch offers ample seating in an inviting dining room. The main dining room is expansive, with ample seating. The décor is traditional for a barbecue joint, but the craft beer on tap tells you that this isn’t your ordinary haunt. One poster on the wall stuck out to the author: a sports calendar for the Texas A&M basketball team…in Austin. Shane says he gets a lot of ribbing for having that poster up, but he is a diehard Aggie, and represents his alma mater! In fact, free koozies are handed out to anyone coming through the line wearing A&M apparel, so be sure to wear your favorite Aggie garb the next time you take a trip to the Switch. Lance Kirkpatrick picked up a thing or two working all those years with Bobby Mueller. The briskets are prepared with a traditional rub (salt and pepper, that’s it! ), and slow smoked for twelve hours in a custom Klose BBQ pit set just off the kitchen in a screened in porch. A second pit just like the first sits in the courtyard behind the strip mall, just a few yards from the back door of the kitchen. Lance feeds the smokers with traditional post oak, resisting the temptation to use more exotic wood to alter the flavor. 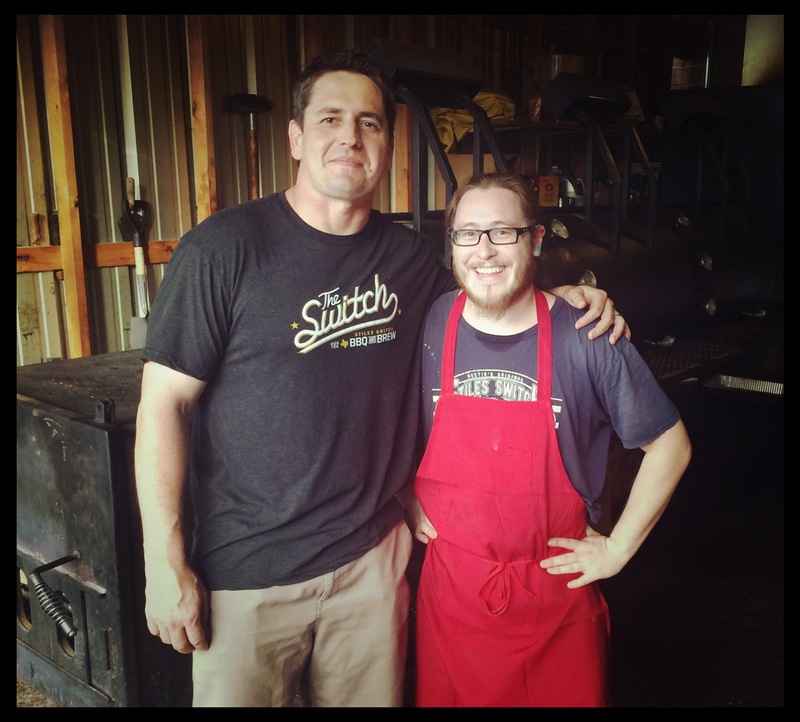 Lance and Andy, his assistant pit master, smoke over fifty briskets each day, maintaining consistency through a rigorous commitment to quality. If a brisket does not meet expectations, it is chopped up or discarded completely. A perfect plate at Stiles Switch BBQ & Brew! 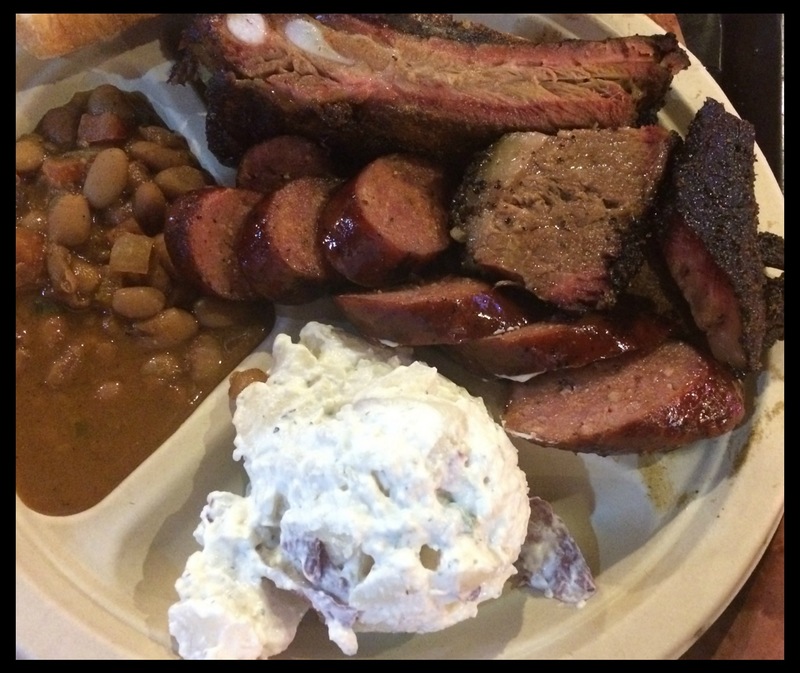 Upon tasting the brisket at Stiles Switch BBQ & Brew, the staff at The Best of Texas Barbecue was astounded that exceptional barbecue could be ordered and served up until 9:00 p.m. at night. Barbecue such as this has always been sold until out, hardly lasting through the lunch rush. To be able to consistently make and serve elite barbecue brisket through normal restaurant hours is impressive. To be sure, the brisket at Stiles Switch BBQ & Brew is indeed elite. The bark was exceptional, thick and delicious, packed with huge flavor! It was surprising to later learn that only salt & pepper are used on the brisket, as the flavors were deep and spicy. However, it was confirmed by the staff that the only ingredients in the rub are the black & white spices commonly available in any kitchen. Perhaps it is the liberal dosage that should be noted. Pro Tip: use your fingers when eating this brisket, because a fork will just frustrate you. The meat pulls apart with ease, making eating with a fork a daunting challenge. The only fat still left on the brisket just melted away in the mouth, hardly meriting any deduction. The meat was otherwise perfectly rendered and smoked, exhibiting a beautiful smoke ring. 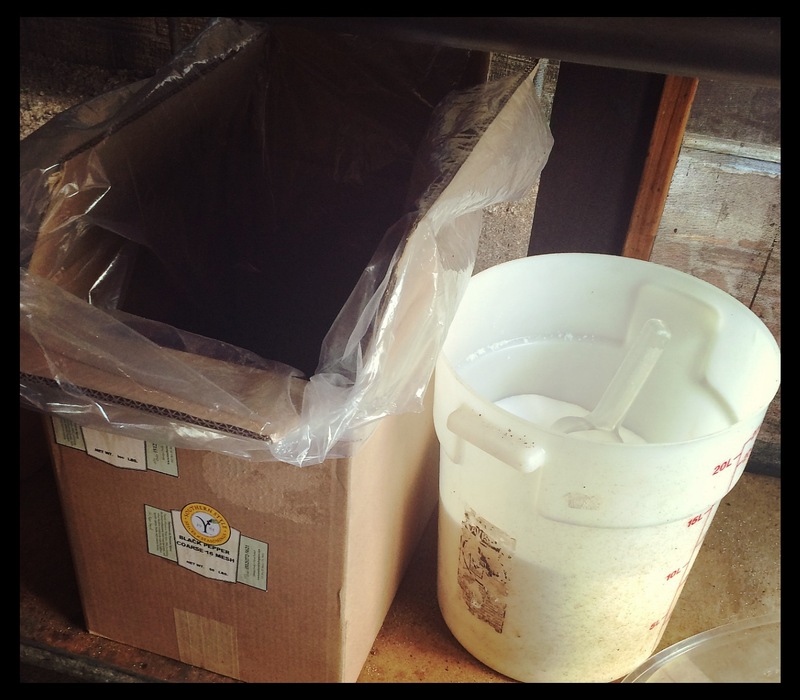 Salt and Pepper – the two ingredients used in the brisket rub at Stiles Switch BBQ & Brew. Most appealing for the staff at The Best of Texas Barbecue was that even the center parts of the brisket at Stiles Switch BBQ & Brew were tender and delicious with a smoky and seasoned flavor. Stiles Switch BBQ & Brew offers pork ribs in the drier style, unlike the ribs at La Barbecue and Franklin BBQ which are affectionately referred to as a “wet mess” (albeit a delicious wet mess!) The meat would fall right off the bone at the other establishments, whereas the meat stayed firmly on the bone until bit off at Stiles Switch. The ribs had a beautifully developed bark, and retained the authentic pork taste, which is sometimes lost under all the sauce and rub that is applied by some establishments in the smoking process. The meat was incredibly tender, nearly melting in the mouth. The author struggled with whether these were the perfect ribs, therefore deserving a perfect score, or if even a half point could be deducted fairly. Please, do yourself a favor; order the ribs the next time you go to Stiles Switch. You won’t be disappointed. L-R: owner, Shane Stiles and assistant pit master, Andy. Adhering to the strict methodology as set forth by the staff, the author ordered the “original” sausage to sample. However, Stiles Switch is unique in that it considers its spicy sausage to be its original offering. If you can’t handle the original (spicy) sausage, you can order the mild. As the author prefers a jalapeno sausage, it was just up his alley. Stiles Switch sources its original sausage from Taylor Meat Company, which makes the sausage according to a specific recipe for the restaurant. The sausage was perfectly cooked, with a casing that snapped. This is seriously good sausage! After taking a few bites of sausage, you will be happy if you ordered the German potato salad, which cools the mouth and restores your faith in potato salad and the German people as a whole. Smart folks! The beans, while ranch style, were incredibly good. Peppers, tomato, and onions work to make these beans fantastic! 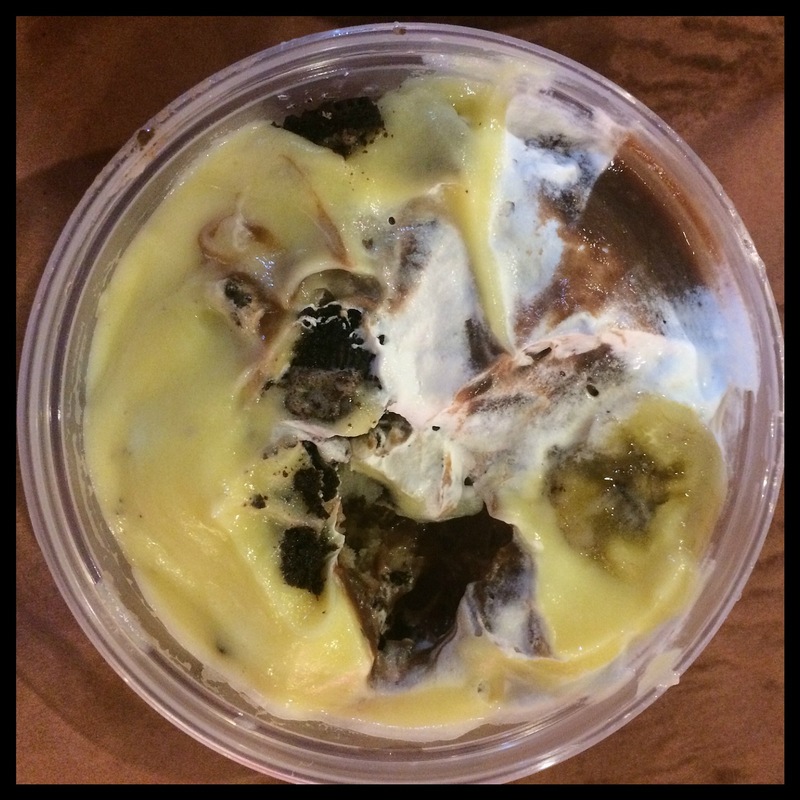 The banana-chocolate pudding is amazing! The most surprising find at Stiles Switch was its sauce. The ketchup-based sauce comes across as more of a gourmet tomato basil soup than a barbecue sauce. It is simply delicious. The author, while he would never intentionally dip a quality smoked meat into a sauce, ate all the white bread he was given, happily dunking it in the sauce with each bite! There are few more appropriate deserts to go with barbecue than banana pudding. The staff just loves the stuff. However, one such desert that is better than plain banana pudding is the banana-chocolate pudding that Stiles Switch offers. In addition to the standard pudding and Nilla wafers that are used in traditional banana pudding, Stiles Switch then adds chocolate pudding, whip cream, and Oreo crumbles! It is worth going back for. 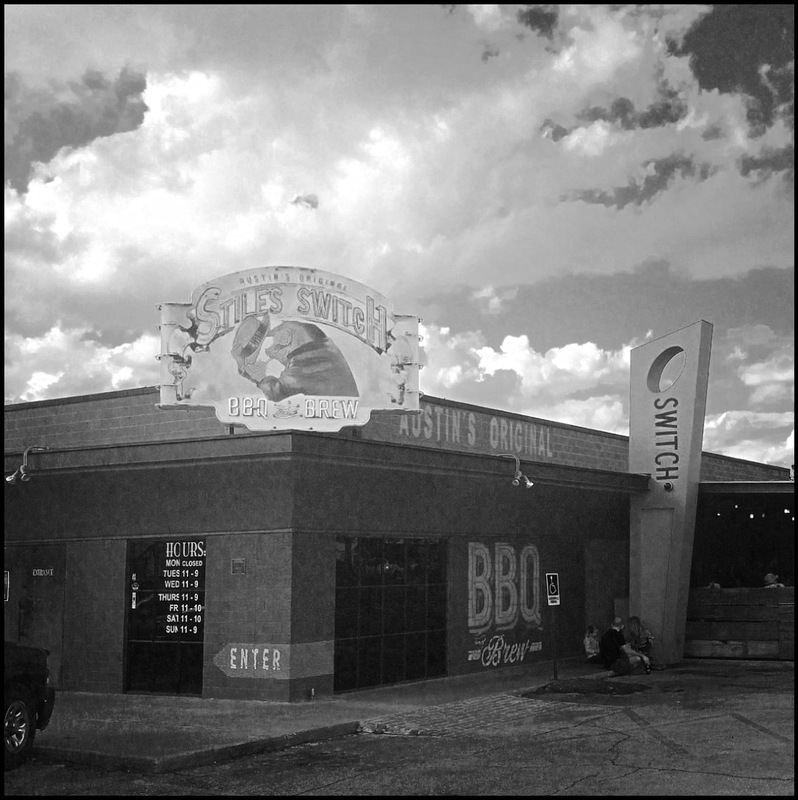 A truly unexpected barbecue experience was found upon walking through the solid steel front door of Stiles Switch BBQ & Brew. The old guard best watch out, as new restaurants offering more than just great cue will soon displace them as the king of the mountain. This entry was tagged Austin Barbecue, Banana Pudding, barbecue, bbq, brisket, Franklin BBQ, Louie Mueller BBQ, pork ribs, review, sausage, spicy sausage, Stiles Switch, Stiles Switch BBQ & Brew, Texas barbecue, Texas History, The Best of Texas Barbecue. Bookmark the permalink.